Pope Francis and the Atheist: What is Hell? 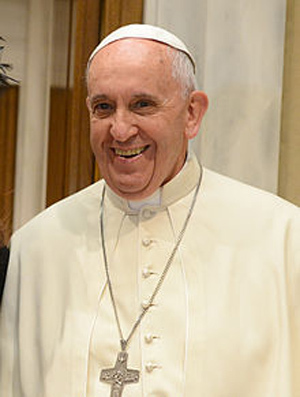 Although the Vatican denies that Pope Francis (below) recently told Eugenio Scalfari, an Italian newspaper publisher, that hell doesn’t exist, my guess is that the pope actually beat around the bush on the subject and likely implied that very thing in the private interview, which was not recorded by Scalfari. I suspect that the pope really does question the reality of hell, at least the hell of orthodox Christianity, and that he would like to see it undergo a complete makeover. Clearly, the hell of orthodoxy – one of fire and brimstone in which sinners go for eternity – just doesn’t fly with rational people, as it can’t be reconciled with the fair, just and compassionate God the churches have passing judgment on those supposedly cast into that horrific place. No matter how the churches try to justify their strict biblical interpretations of it all, God still comes out of it as cruel, capricious and vindictive, much like one of the “hanging judges” of the Old West. The religious message, though varying among denominations, is that a person will spend eternity in hell if he or she doesn’t choose the right savior, or if he or she doesn’t repent in a very timely manner. A person might lead a virtuous or “righteous” life, but if he worships the wrong savior or commits a grievous sin just before his death, with no opportunity to repent, his fate in hell is sealed. On the other hand, a person can lead a very wicked life but can be “saved” on her or his deathbed by “finding” the right God and properly repenting. Much depends on luck or being in the right place at the right time. How just is all that? Of course, heaven needs a complete overhaul as well, since floating around on clouds, strumming harps, and praising God 24/7 for eternity simply is not all that appealing. To many, total extinction seems preferable to such a humdrum existence. This dichotomous black and white afterlife preached by the churches has to be the biggest obstacle to believing in life after death. I think the pope realizes all that, but for him to say that the Catholic Church had it wrong so many years is for him to say that all his “infallible” predecessors were actually fallible, and it would undermine the authority and other teachings of the Church. In effect, he is caught between a rock and a hard place. In defense of the pope and the horrific hell subscribed to by the Catholic Church and most of Christianity, The Tablet, the International Catholic News Weekly, stated, in a March 31 release, that the pope “is heavily influenced in this regard by a novel featuring the Antichrist,” which confirms the existence of hell. 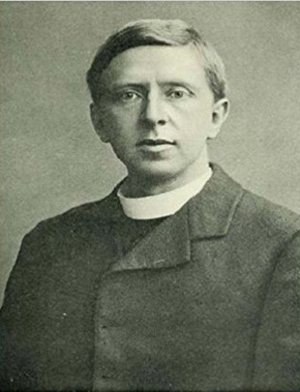 It is difficult to believe that the pope or Church authorities would let on that a novel influences his thinking, but the article identified the piece of fiction as Lord of the World, authored by Monsignor Robert Hugh Benson, (below) the son of a former Archbishop of Canterbury. 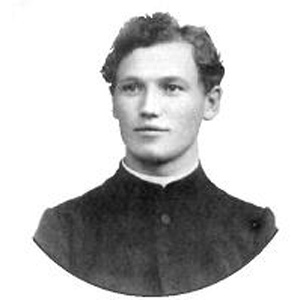 Benson was an Anglican vicar who created quite a stir when he converted to Roman Catholicism in 1903. His novel was published in 1907. I doubt that the pope knows the rest of the Benson story, that involving Anthony Borgia, a British medium who purportedly recorded many after-death messages from Benson, who died in 1914. As Benson explains it through Borgia, he found that after his death many of the views he expressed in his books, including The Necromancers, published in 1909, gave a distorted view of the spirit world, including spirit communication, and he was hoping to set the record straight through Borgia’s mediumship. “The whole fantastic doctrine of hell-fire – a fire which burns but never consumes – is one of the most outrageously stupid and ignorant doctrines that has ever been invented by equally stupid and ignorant churchmen,” Benson communicated through Borgia, describing the lower realms as nothing but a cold, dank atmosphere, its inhabitants seemingly listless and lost in the darkness. They are not being punished by the God they mocked, he reported, but rather they are punishing themselves. Perhaps the most significant discovery by Swedenborg was the “world of spirits,” a vast intermediate region between the heaven and hell of the Protestant theology he had subscribed to, but unlike the purgatory of Catholicism, which is, or at least was before the Catholic Church backed off the subject a few decades ago, much like hell. The conditions of the spirit world that Swedenborg explored were very similar to earth, so similar that many newly arrived souls had to be told that they were no longer living on the earth plane. Edgar Cayce, the famous American “sleeping prophet” of the last century, also told of taking a tour of many realms during one of his out-of-body experiences. He described how he encountered a stream of light he knew he must follow. In the lower or darker realms he saw “forms” that were floundering or lost and seeking the light. As the light grew stronger and stronger, he arrived at a place where individuals appeared much as they do today. The more modern revelation suggests we develop what has been called a “moral specific gravity” in the earth life and that determines the level at which we find ourselves after death. This moral specific gravity has also been referred to as “spiritual consciousness.” Those who fail to develop any significant spiritual consciousness during the earth life will, it is said, find themselves in the lowest realm of the afterlife and may not even realize they are dead. They likely will experience a “fire of the mind,” or an ongoing nightmare as they exist in something of a dream world. It is understandable that this “fire of the mind” became a symbolic physical reality when early artists tried to depict it and that the churches found it the easiest way to explain it all to the uneducated masses and use it as a weapon to keep them in line. Those who developed a modicum of spiritual consciousness would, it was reported, find themselves a little higher in the realms and in sort of a stupor, in and out of a dream world, much as a person can be during a light sleep or even while absorbed in a movie. That person will likely drift in and out of the “dream” while gradually awakening. Some have referred to this second realm as the “borderland.” Above that realm we reach an existence similar to that we have in the material world, one in which there is much activity, and beyond that it begins to exceed human comprehension. And so what can we believe? Are all these modern day spirits “wolves in sheep’s clothing,” as orthodoxy claims? Surely we must heed the words of John to “test the spirits to find out if they are of God” (1 John 4:1) as well as those of Paul that we should be “discerning of the spirits” (1 Corinthians 12:10). But neither John nor Paul tells us how to test or discern the spirits. Seemingly, the best test or best discernment would be to ask if the spirit communication is consistent with an all-loving and all-just Creator. By going beyond the self-imposed limits of orthodox religion, by testing and discerning the teachings of the spirits, we find a much more logical, more sensible, more appealing environment – one that can be reconciled with a loving and just God. We discover a Divine plan – one of attainment and attunement, of gradual spiritual growth, of evolution of spirit through progressively “higher” (in vibration) planes. I believe Pope Francis gets that, but he simply doesn’t know how to correct things. Did Stephen Hawking Fail to See the Forest for the Trees? The militant atheists seem to assume that if God can’t be seen in a telescope or microscope that He, She, or It, whatever God happens to be, can’t exist. They further assume that any God must be the anthropomorphic (humanlike) God of religion and that an afterlife can’t exist without such a God. They seemingly don’t stop to consider that an afterlife might exist without the anthropomorphic God of religion. Ask the militants to forget the question of God and closely examine many cases suggesting survival, such as those set forth in One Hundred Cases for Survival after Death, edited by A. T. Baird, and they’ll just guffaw and say none of it is scientific. They claim fraud, delusion, hallucination, wishful-thinking, anecdotal, whatever works best for them, or they refer you to a Wikipedia page which is usually written by another militant atheist who claims that the particular person or case is just so much hogwash. They’ve been brainwashed in scientism and are at the other extreme from the fundamentalists of religion. Yes, the cases set forth in Baird’s book, which was published in 1944 and has now been republished by White Crow Books, are anecdotal and holes of one kind or another can be poked in each case, leaving some room for a doubt, but as Professor Lodge said, it is the cumulative evidence that provides conviction. The militant skeptic would say that Piper somehow investigated Rendall beforehand, and there is no way to prove that she didn’t. The young militant might not appreciate how difficult it would have been to come upon such information in those days before computers and even telephones, especially with an ocean between them. Even today, it would not be that easy to come up with the name of a friend of a relative’s wife. But the militants would further theorize that Piper was “fishing” for information and doing “muscle reading.” They’d have us believe that Lodge and Rendall were dupes taken in by a clever trickster, that Lodge, one of the greatest scientists of his day, was duped 83 times. Some references on Lodge suggest that he was all too willing to believe in survival because his son Raymond was killed in World War I. However, they overlook the fact that Raymond’s death was some 25 years after he first investigated Mrs. Piper and some seven years after he defied the materialistic mindset of the day and professed a belief in survival after having admitted to being a materialist. The militant skeptics would not suggest telepathy or mind reading in the Nichols case, because even telepathy defies the laws of mechanistic science. Nichols must have been delusional; there can be no other explanation, the militants reason. The militant skeptic will tell you that mediums of the day knew each other and Mrs. Piper tapped into the medium “message board” for information about Savage before he sat with her, even though we are told that his name was not given to her beforehand. There is no end to “might have” or “could have” theories that the debunkers come up with. When those don’t work, they point to the medium’s failures, discounting all the “static” and “noise” that interfere with clear communication. They seemingly assume, as some religionists do, that if there is an afterlife that people become all-knowing and all-powerful and that the communication should be as clear as talking on a good telephone line, when, in fact, it is more like prisoners of war tapping out messages between cells. A few other cases among the 100 offered by Baird have to do with Mrs. Piper, but there is a wide variety of cases not involving her. Some have to do with veridical apparitions and deathbed visions, some with other mediums. Some are more convincing than others. Baird added another 100 cases in a second book, Case Book for Survival. I could add 200 cases to his 200, many more involving Leonora Piper as set forth in my book, Resurrecting Leonora Piper. But the militant skeptic would shrug them off as anecdotal and unscientific. All of those intelligent men and women were simply duped as they had a “will to believe,” they would say with much hubris. There can be no other explanation because it all defies the laws of nature and science. My guess is that Professor Hawking was too busy studying the cosmos to ever look at such evidence. He was likely focused on the trees and never saw the forest. 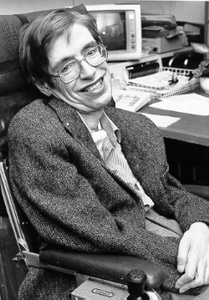 Some believers might say that Hawking now knows better, but I wonder if he does. There is considerable spirit communication suggesting that we continue to believe as we did when we parted the material world. The Catholics remain Catholics, the atheists stay atheist, etc., until they have fully adapted to the spirit world and are prepared to grasp the reality of it all. This seems to suggest that the non-believer, at least the militant one – the one who has taken pride in his insolence while trying to influence others toward his belief – will not even realize he is dead for some time after death and will live in some kind of dream world for a time, however time plays out there.